Ed Woodward, Chief executive of Manchester United is a fraud of a chief executive, simply an owner’s pet who wormed his way into controlling one of the biggest brands in human history. 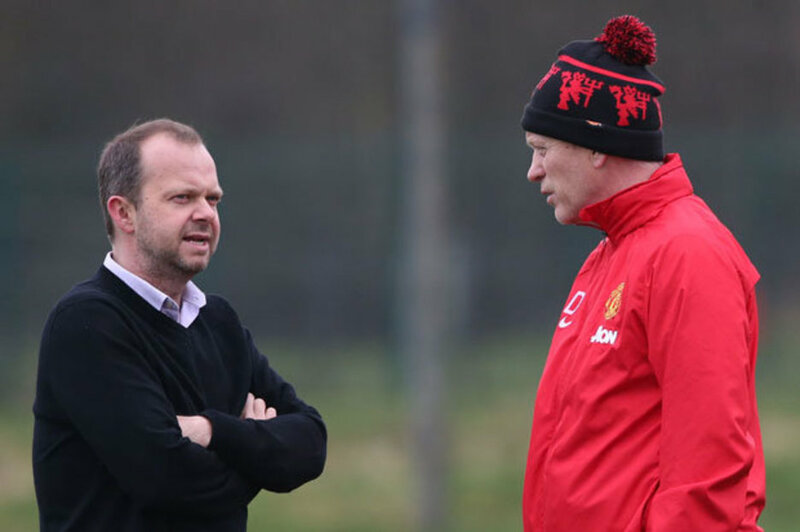 We all love a bit of controversy in opinion over here at LFS but the more I look into Ed Woodward’s career, the more the words; inadequate, average and power hungry spring to mind. Many outlets claim to offer latest transfer news and things of that nature, that’s not us. However, we do have a genuine link to somebody who works within football. That insider has consistently discussed the issues at Manchester United over a 6 year period. Those issues all work their way back to their footballing ‘leader’ Ed Woodward. Let’s start with the very beginning in how Woodward rose to power at Manchester United. If you hate the Glazers, you’ll cringe reading every word of this. 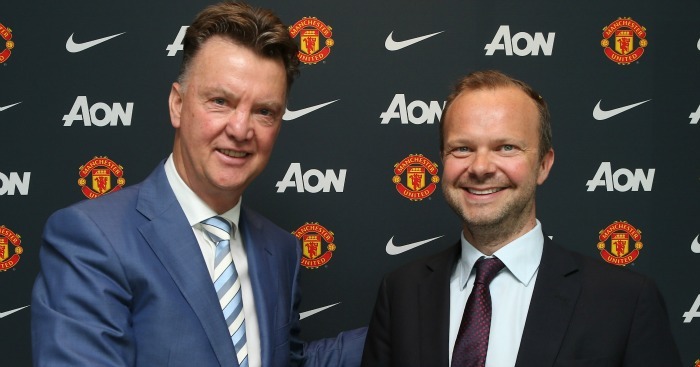 To give you a quick background overview, Ed Woodward holds a degree in Physics and Accountancy. He has periods working with PwC and more concerning was an investment banker at J.P Morgan, an organisation accused to be at the heart of many global financial issues. But here’s the bit Manchester United fans are going to hate, how they don’t already know it is beyond me. Ed Woodward is the mastermind behind the tactful and now illegal way in which the Glazers purchased Manchester United. The Glazers never technically paid a penny for Manchester United, the Glazers borrowed the finances from several banks and once they owned the club simply used a large portion of the clubs huge profit streams to pay of the initial loan. The sale of Manchester United in this manner is the very reason potential owners are now vetted before they purchase football clubs. In 2007, after the takeover was complete the Glazers chose to keep Woodward around as a Commercial and media operations director, where he is credited for turning the clubs global fortunes from £48.7 Million in 2005 to £117.6 in 2012. This brings me on to our next point, Ed Woodward isn’t actually any kind of financial genius. He’s an above average investor for sure, he’s a very smart man in many respects but he is not responsible for the huge growth of Manchester United as a brand. Through inflation alone Manchester United grew over £15 Million. I’ll get into the financial details a little later on. During that period United managed under the incredible ability of Sir Alex Ferguson, but his departure wasn’t the end for Manchester United in 2012, two other men left the club as well. Paul Scholes, but more importantly David Gill. Losing the reputation David Gill had among clubs as being a respectable football representative, a pleasantry of sorts amongst football’s top brass, was one thing, gaining the inability of Ed Woodward sucked the soul out of the club was a whole new extreme. In 2012, Woodward was promoted to the board of directors and named the Executive vice-chairman of the club. Once Gill Left, Woodward was then promoted once again to the majority Chief Executive. Richard Arnold, A man Woodward went to College within Bristol and studied for his financial graduate in 1996, replaced him as the executive vice-chairman. To his credit, however, he is a vastly travelled and talented man who has won recognition for his creative efforts within sports business. That doesn’t make him a football man but it shows his intelligence in a brighter light that Woodward could muster up. if we take a look at a couple of deals here, taking into consideration the sheer prestige of what Manchester United means as a brand – success, Here are the results. – I’ve kept the figures relatively rounded to avoid confusion. You C1000 is Hong Kong’s equivalent to lucozade, as you’d expect the smaller national brand must be paying through the nose to be associated with Manchester United given the genius of Ed Woodward right? Wrong. This deal, is worth £4 Million per year over a 2 year contract. Totalling an “8 million deal. A club the size of manchester United have managed to pay Alexis Sanchez’ contract through 16 weeks with this deal. It’s poor. Let’s leave it at that. Moving onto another commercial deal, United signed a deal with Mlily, a brand of Pillows in China on an extension recently despite the deal being worth less than £1 Million per year. Another deal with Nigerian Yoghurt brand Chi is also worth less than £1 Million over it’s duration. The bottom line here is none of those are amazing deals, I have no doubt that Ed Woodward has contributed to off the field growth financially at Manchester United, to think otherwise would be foolishness. to hail him as our saviour of finances however is quite simply ludicrous. If we look on the field we’re faced with even more absurd decisions. Zlatan Ibrahimovic’s contract bought Manchester United to its knees financially, the fact they re-signed him, influence aside is phenomenal. On the eve of managing to free themselves from Zlatan’s heavy contract, he’s then replaced on the wage bill by the equally as expensive Alexis Sanchez. Other ‘B+’ players around the club including Ashley Young, Chris Smalling, Phil Jones, Fred, Sergio Romero, Marcos Rojo and Luke Shaw all earn in excess of £120K per year base – that is without image rights bonuses and other performance-related bonuses. Once again, a financial mastermind is paying Ashley Young, Chris Smalling, Phil Jones, Fred, Sergio Romero, Marcos Rojo and Luke Shaw a minimum of £600,000 combined whilst Sanchez brings that total up to over £1.2 Million before we even factor in the likes of Pogba, De Gea, Lukaku, Lingard, Matic, etc. Manchester United are in a remarkable position where over half of their salary structure is split between less than 11 players. I’m not one to be overly critical per say in whether a player has been good or not, some players despite giving it their all just aren’t cut out for Manchester United but to not respect them despite their abilities is in my opinion in poor taste. With that said, I think it’s important to recognise the string of sub par signings made by Ed Woodward. During his tenure almost every transfer has ended up in ashes. Victor Valdes ended up walking out on then manager Louis Van Gaal and although cost the club nothing, he didn’t actually produce anything during his time with the club. The likes of Guillermo Varela and Lee Grant barely deserve mentioning either. The £31 Million experiment of Memphis Depay ended in flames incredibly quickly, despite the fact he was urged by several senior scouts that Woodward was not ready for Premier League football. £25 Million man Morgan Schneiderlin was equally as poor as Depay in his time at Manchester United also. Matteo Darmian and Bastian Schweinsteiger are two other internationals who made little to no impact on the field whilst in Manchester. Angel Di Maria’s failures have been well documented also. Henrikh Mkhitaryan lasting less than five minutes after an initial £30 Million outlay behind Jose Mourinho’s back. Marcos Rojo, although passionate isn’t a Premier League winning defender and considering his excessive salary, he remains hard to sell on. The latest move of a £52 Million Fred appear to be on the more negative side of things regarding fan feedback whilst Woodward also the infamous genius that waited an extra 3 weeks and therefore pay an extra £15 Million for Marouane Fellaini. Depending on how you frame it, this next one could come as an effective technique in negotiation. Paul Pogba. Let’s talk about him. Woodward kept throwing money towards Pogba until he said yes is the long and short of it all. The thing is that Pogba doesn’t want to be back playing for Manchester United and intends to move on shortly, possibly even this summer if they can find someone willing to pay the excessive fee it will likely take. There are more and I can go on but I think you get the picture. I got asked recently what Ed Woodward’s job actually is at Manchester United, not his title, his day-to-day duties at the club. What are this man’s responsibilities? I don’t know is the honest answer, not entirely. The thing with Woodward’s rise to power is that he’s absorbed several roles as he’s gone along in the process making it impossible to pin down exactly what he does on a daily basis in reality. What I do know however is that he’s reluctant to give up any power he does have and it’s causing huge issues amongst United’s figuratively humorous ‘football’ board, which quite literally has no power within the club. Since the retirement of Sir Alex Ferguson a lot of different positions had to be allocated at the club, he, along with Arsene Wenger did more in terms of sheer workload for their clubs that is honestly imaginable. Work that took the brain power of several employees. Ed Woodward has decided to take up almost all of those responsibilities, cherry picking his priorities as he goes along. He insists to the media that the club is actively trying to attain a technical director and director of football but the truth is he is the reason the club does not have one. He refuses to give up his negotiation powers on the footballing front, he does not want to work alongside someone, he wants someone to work for him. He believes Marcel Bout, the Chief Scout hired during the LVG era to be all the footballing knowledge he needs before actively looking at transfers. This then brings be on to my next point, difficult working relationships. Every single manager at Manchester United under Ed Woodward has spoken out against Ed Woodward as a chief executive, Sir Alex Ferguson has talked of struggles working with him in a lesser role. David Moyes had this to say on Woodward in 2016 “There was a new chief executive in place. David Gill had left which was a real big thing for Manchester United…He was someone who was very important to the club and to how things ticked along at the club”. He added: “I think you need to understand football totally to know [how to work in his position]. I think David Gill was someone who understands everything”. “What I don’t like is Woodward contacting my successor, knowing in his mind he will replace me and he keeps his mouth shut for six months. Every Friday I had to go into press conferences and be asked what I thought about the rumours. What does that do to the authority of the coach? “To win the FA Cup when, for six months, the media has a noose round my neck, is my biggest achievement. “At the moment there is a structure with a scouting division and above that is someone at Woodward’s right hand. The structure is not so bad but the right hand has to be a technical director with a football view, not somebody with a banker’s role,” Van Gaal says. Last but not least we’ve got the relationship between Mourinho and Ed Woodward. If you thought anything i’ve said so far was disgraceful, the way the club handled Jose Mourinho was by far one of the worst things I’ve ever seen an English club do. Woodward worked with Mourinho relatively well at first, or as well as he had with anyone else. There were rumblings of problems when Eric Bailly and Henrikh Mkhitaryan were signed behind Mourinho’s back but given the physical talents of Bailly it wasn’t something worth causing a fuss over, especially so early on. Real cracks emerged after Woodward started refusing names who weren’t big superstars, or at least that’s how it seems. His reluctance to consistently offer below what Inter Milan was asking for Ivan Perisic lead to them completely blocking any deal at any fee in 2017. Things got even worse the following year when Woodward chased Fred based off of the flashy scouting reports of colleagues around the league whilst completely ignoring Mourinho’s repeated desire for defensive reinforcements only to be told repeatedly that defenders “aren’t worth” big money investment (meanwhile cross-town rivals Manchester City had spent £210 Million on defenders for Guardiola and Liverpool broke records to sign Virgil Van Dijk). The man on the other end of the phone was Ed Woodward. remarkably Ed Woodward has since attempted to move for targets he initially declined for Jose Mourinho, since Mourinho’s dismissal. Joao Felix and Rúben Dias to be specific have been watched intensely by United under the specific instruction of Ed Woodward and Marcel Bout. As a result of the deterioration in their relationship, Woodward set out to publically humiliate Mourinho doing as much as possible to get him vilified by the United fans. Specifically, I’ve been told that Woodward’s representatives have offered stories to several outlets regarding the future of Anthony Martial. Mourinho also expressed his dissatisfaction with United dealing with Mino Raiola. This could be dismissed as mind games between the biggest agents in the game (Jorge Mendes manages Jose) but I feel, judging by Mourinho’s words that there is far more to his comments than that. Reports claiming Woodward was on the verge of sacking Mourinho in October 2018 were also leaked by the Woodward camp in order to put more pressure on Jose. The very fact Mourinho never walked is a testament to his character, this is the real reason he never moved out of the Lowry during his time at United, he never felt confident in the judgement of the club. Prior to the sacking of Louis Van Gaal, Ed Woodward had an informal agreement on the table with long term Juventus Manager, Massimo Allegri. That agreement was ended in January 2016 after a heated exchange between Allegri and Ed Woodward. Ever since Sir Alex Ferguson retired many have claimed the club were naive and lacked direction, perhaps they were right with naivety but the club had a clear plan in place after they dismissed David Moyes. That plan was ruined by Ed Woodward and his inability to deal with people who have egos. The bottom line here with Manchester United is that until Ed Woodward has been removed from his position or has had his duties significantly diluted the club will struggle under a one-man power trip. Purchasing players based off the scouting opinion of Marcel Bout, the Chief Scout, ignoring team needs in favour of the big brand deal – see Angel Di Maria, Romelu Lukaku, Paul Pogba and Zlatan Ibrahimovic. Paying little attention to the clubs management or figurative board with Sir Bobby Charlton and Sir Alex Ferguson but above all else Ed Woodward is the mastermind behind the Glazer takeover, the worst thing to happen to the club in nearly 50 years. Whilst Woodward is at the helm, Manchester United will not climb the summit of European or Domestic football. Should The Buccs Move on From Jameis Winston? Watford v Arsenal – Gunners to end away curse? Woodward, What Happened to the Director of Football? What is next for the Middleweight division? error: LFS Provide original content, instead of copy and pasting some of our content why don\'t you share the link instead? Have an opinion on this article? Why not share it with the world? Write With us.